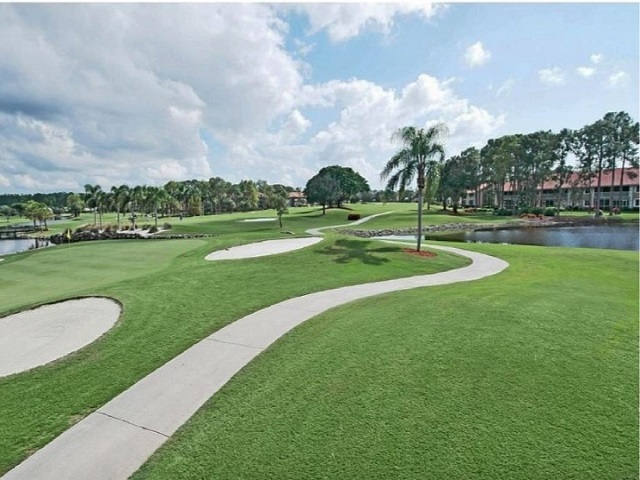 Located in South Naples just off of Rattlesnake Hammock, Royal Wood Golf and Country Club is one of Naples’ best kept secrets. Here you will find single family homes, villas and condominiums set among the lush green fairways and sparkling blue lakes in a lush tropical setting. The single family homes range from 1,393 to 2,600 square feet with two to four bedrooms and a two garage. The verandas range from 1,223 to 1,395 square feet with two to three bedrooms and a one car detached garage. 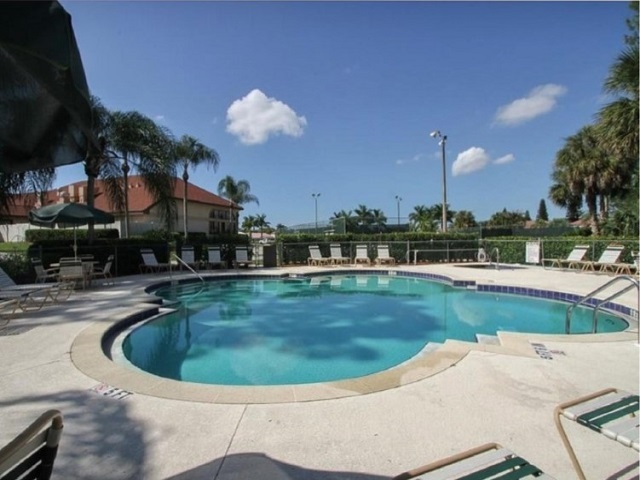 The condos range from 1,072 to 1,410 square feet with two to three bedrooms and a one car carport. At the heart of the community is the beautiful Royal Wood Clubhouse. Here members enjoy both fine and casual dining and an outside terrace and lounge. Amenities include a library, card room, 900 square foot state of the art fitness center, 14 tennis courts, two of which are lit, an optional tennis association, five bocce courts, seven heated pools and spas and miles of walking and jogging paths. 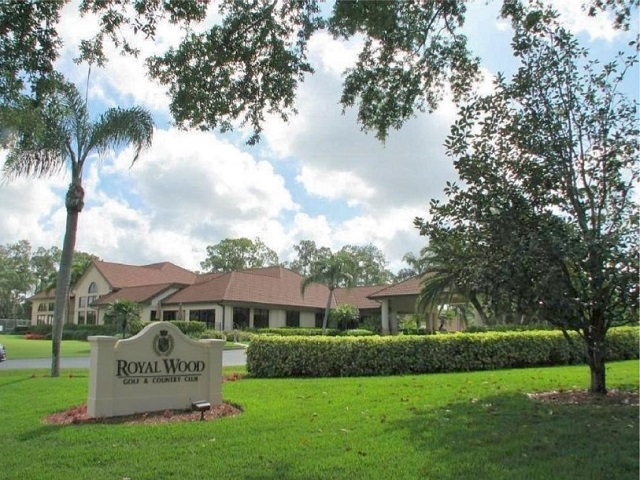 Royal Wood is an active community with numerous events, Friday night happy hour with live entertainment, holiday and special event dinner dances and numerous interest groups. The Royal Wood Golf Course, designed by Michael Hurdzan was opened in 1989 and renovated in 1998. It plays at 6,011 yards from the back tees to a par of 70 and has a course rating of 69.8 and slope of 125. There are two practice greens, a practice area, men´s and ladies´ leagues and members are allowed to walk the course after 3:00 PM. With plenty of room and four sets of tees, this mature layout is fun for golfers of all levels. The pro shop is fully stocked and both the head and assistant pros offer group clinics as well as private lessons for the beginner or to just help you tune up your game. Centrally located, Royal wood is close to Olde Naples with its world class shopping, fine dining and white sugar sand winning beaches. If you are looking for a fun friendly bundled golf community that is close to everything, then make sure to visit Royal Wood.